Present state: The degraded remains of the westbound platform, little more than a mound alongside the track. Nothing else remains. Notes: Colwyn Bay Station opened in 1849, a year after the LNWR opened their Chester – Holyhead main line. 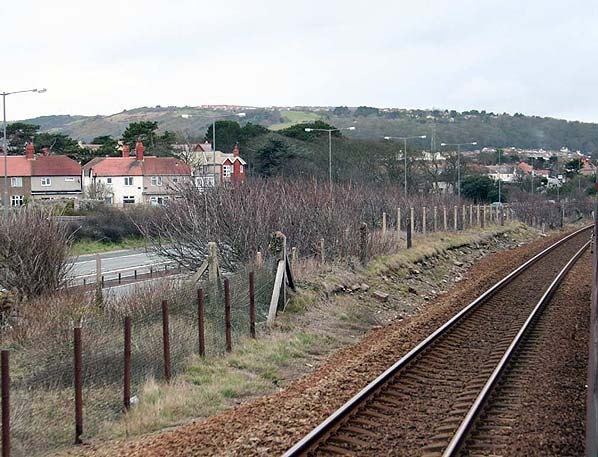 On the 9th April 1884 the LNWR opened another station on the east side of Colwyn Bay which had become a popular holiday resort thanks to the railway which had provided easy access especially so for the populations of Liverpool and Manchester. The new station was initially named Colwyn but strangers travelling from the Chester direction would often alight there by mistake thinking it was Colwyn Bay. 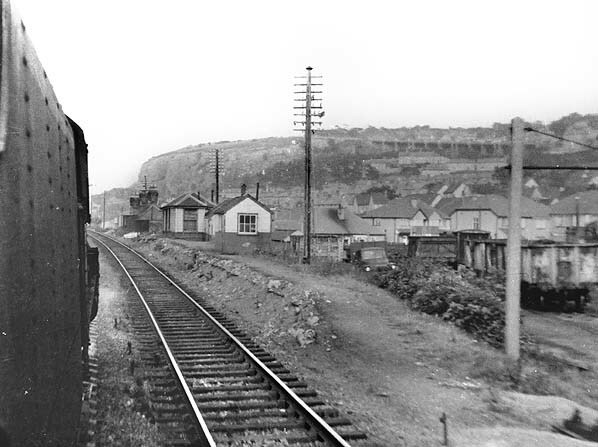 To avoid confusion the station was renamed Old Colwyn on 1st June 1885. For a short time Colwyn Bay was known as New Colwyn, there was much protest so the name was changed back to Colwyn Bay. 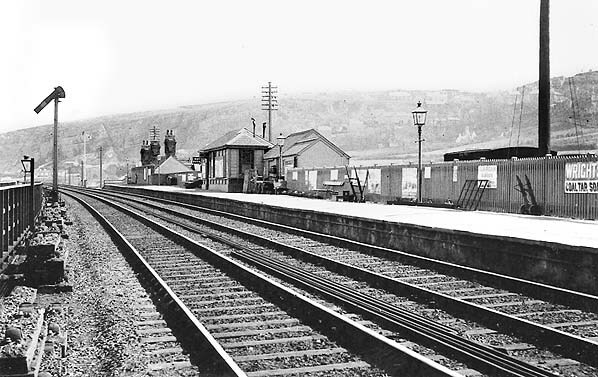 Old Colwyn Station station would have been provided primarily to serve the lucrative holiday trade. The station had two staggered platforms with basic waiting facilities at platform level. There was a siding and coal yard. There were four coal merchants, T.S Jones, William McGregor, William Ellis and Tom Williams. Each had a shed and office in the coal yard. The station was only just over a mile from Colwyn Bay’s main station and was probably not very busy outside of the holiday season. As a consequence it closed to passengers on the 1st December 1952. Goods traffic lasted until 4th May 1964.
are some degraded remains of the westbound platform. The line is still a busy trunk route catering for goods and passenger services.